Home Blog Page Cleaning Tips Sleeping with the Enemy – Who Lives in Your Mattress? Sleeping with the Enemy – Who Lives in Your Mattress? This combo can be quite dangerous for your health which means that you, dear friend, are sleeping with the enemy. There are four main types of bacteria living inside your mattress, sheets and pillow – bacilli, gram-positive rods, gram-positive cocci and gram-negative rods. The number of bacteria found in an average bed is several thousand times greater than that found on an average toilet seat. Not all mattresses are infested with bedbugs and thank God for that because these tiny pests can bite you all night long. So, if you wake up every morning with big red bumps on your skin and sheets covered in suspicious dark dots, you may be dealing with uninvited guests. Having a mattress filled with skin mites may sound disgusting but the truth is that these microscopic organisms live on the skin of each and every single one of us. They eat our dead skin cells and they are subdivided into several different types depending on which part of our bodies they prefer to munch on the most. For the most part, humans and skin mites lead on a peaceful coexistence. However, there are some really naughty types of mites that can cause rashes, skin irritations and even allergies. Do you wake up every morning with teary eyes or a nose that is stuffy… or maybe runny? 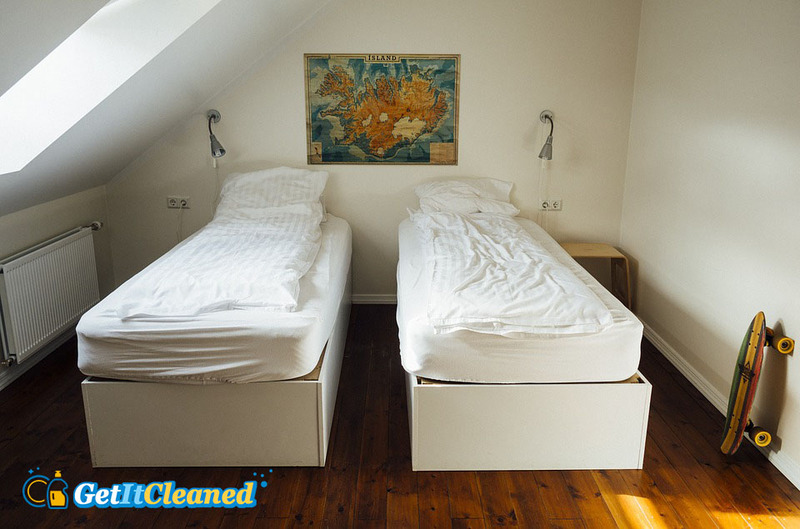 If yes, you may be sleeping side by side to dust mites. Chances of that are even greater if you are sleeping on an old mattress since they usually do not have an anti-dust mite cover. These minuscule creatures love to hide in our furniture and they offer us a shortcut to a bouquet of allergies. Alternaria Cladosporium, Penicillium and Asperfillius – meet the most common types of fungal spores that live in mattresses. They cannot be seen with a naked eye yet they have the superpower to make allergy and asthma symptoms worse. Most of them have a strong preference for synthetic or feather materials. So beware of them if you are sleeping on such a mattress, bedding or pillows. The best way to protect yourself from such enemies is by changing your mattress every 7 years and to vacuum-clean it on a regular basis. Chance and wash your sheets every week and shower before you go to bed. Above all, rely on quality upholstery cleaning services in London. Having your mattress deep-cleaned with specialised equipment by professionals is guaranteed to provide you with a good night sleep undisturbed by unwanted guests.